The Angelina Jolie workout routine is the secret to her weight loss. When it comes to getting in Hollywood shape, Angelina Jolie works out with top celebrity trainer Gunnar Peterson. Gunnar Peterson puts Angelina Jolie through his tried-and-true method of circuit training, in combination with aerobic exercise. Angelina Jolie’s weight loss also comes from a low calorie, portion controlled diet. The Angelina Jolie workout routine uses a lot of circuit training. This means Jolie is constantly doing different exercises that work her arms, abs, chest, legs and glutes. Peterson like to throw in a lot of movements that work Angelina’s core, in addition to multiple muscle groups. Circuit training is beneficial because it combines strength training and cardio exercise. So, here’s the Angelina Jolie Workout, as designed by her trainer Gunnar Peterson. Here’s the Angelina Jolie workout for Monday. Angelina Jolie uses a 5-10 lb. dumbbell weight for most of the following exercises. On Monday, the Angelina Jolie workout uses a circuit that focuses on her legs, arms, back & abs. Gunnar Peterson uses this circuit training routine with many of his celebrity clients. He even wrote a book about his training method. 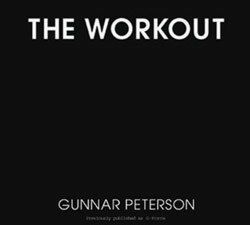 Get the book Gunnar Peterson wrote detailing how he trains the Hollywood A-List. The Workout: Core Secrets. I think all women go through periods where we hate this about ourselves, we don’t like that. It’s great to get to a place where you dismiss anything you’re worried about. I find flaws attractive. I find scars attractive. I don’t see myself as beautiful, because I can see a lot of flaws. People have really odd opinions. They tell me I’m skinny, as if that’s supposed to make me happy. Why does Angelina Jolie pay her trainer, Gunnar Peterson? Then, take a large step back with one foot. For balance, make sure the heel is now perpendicular to the rest of your body. After stepping back with one foot, lower your body down to the ground. For balance, lower your hands down over your front leg as you perform the Side Lunge with a Twist. Here’s the Tuesday Angelina Jolie workout. 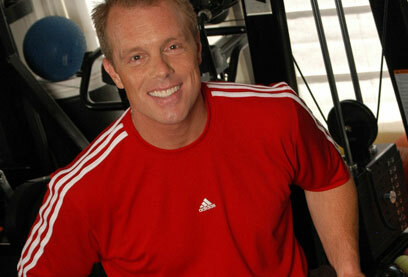 Gunnar Peterson uses this circuit with many of his celebrity clients, as revealed in his book. Angelina Jolie uses a 5-10 lb. dumbbell weight for most of the following exercises. On Tuesday, the Angelina Jolie workout uses a circuit that focuses on her chest, shoulders, arms, & abs. I’ve realized that being happy is a choice. You never want to rub anybody the wrong way or not be fun to be around, but you have to be happy. When I get logical and I don’t trust my instincts — that’s when I get in trouble. The truth is I love being alive. And I love feeling free. I never feel settled or calm. You can’t really commit to life when you feel that. After each circuit training session, Gunnar Peterson has Angelina Jolie do 30 minutes of aerobic activity. Usually, this is HIIT (High Intensity Interval Training) training on the treadmill. Angelina Jolie runs for one minute at a fast pace, followed by 30 seconds of rest at a slow pace. Angelina repeats these 1:30 minute bouts for at least 30 minutes. Why does Angelina Jolie pay her trainer, Gunnar Peterson, to watch her do cardio? While Angelina Jolie is doing cardio, Gunnar Peterson constantly changes the slope/grade of the treadmill/machine to make the workout more challenging. He also changes the machine up, if he notices Angelina is getting tired of the same machine. Gunnar points out that he gets more intensity out of his clients when he has them do 3 different machines for 15 minutes, rather than the same machine for the same 45 minutes. This is a great way to make a lot of effort feel like a breeze. Gunnar says when your workouts feel like a breeze, you’re much more likely to continue exercising over the longer term. 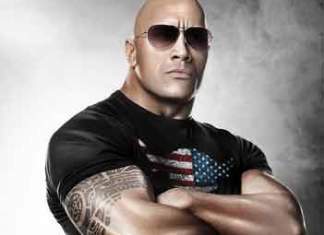 For more about his technique, see The Workout: Core Secrets from Hollywood’s #1 Trainer (on Amazon).